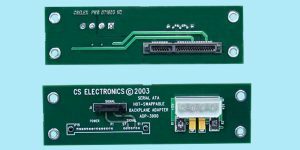 CS Electronics offers a wide array of products for SATA drive systems. 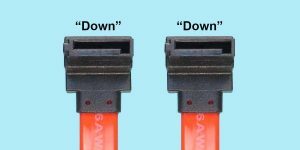 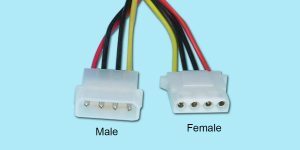 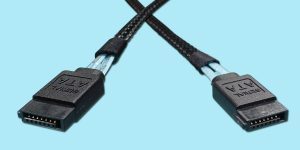 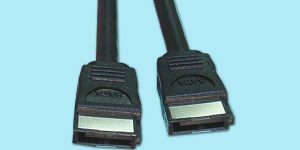 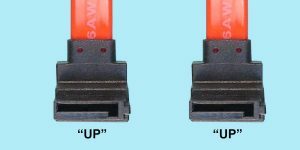 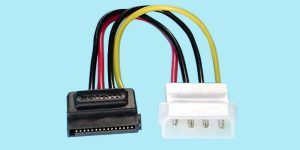 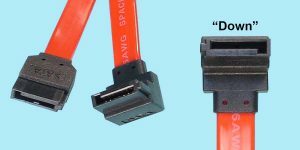 We offer a variety of SATA Cables, using primarily the 7-pin SATA data interface, in both straight and right-angle versions, and many length options. 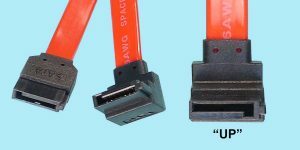 We also offer our proprietary designed SATA drive T-Card adapters in 2 sizes. 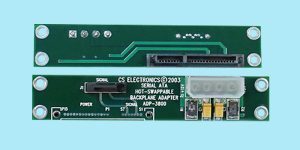 Both are capable of either single-drive bench testing, or to be incorporated into SATA drive subsystems. 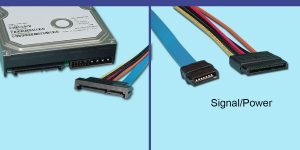 The SATA system, referenced in the 6Gb/s SATA 3.0 & 3Gb/s SATA 2.0 standard, meets SATA Next Generation speed requirements. 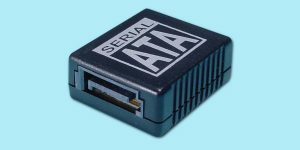 The SATA interface is now doubling Data-Rates from 3Gb/s up to 6Gb/s data rates, as compared to the previous version of SATA. 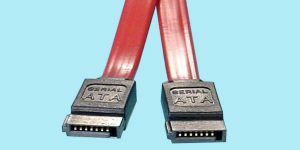 Typical applications would be a SAS/SATA link between a SAS/SATA HBA to a SATA drive subsystem or storage array. 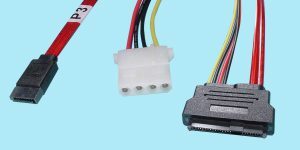 CS Electronics has incorporated these 6Gb/s & 3Gb/s SATA connectors both in cable assemblies and on I/O & Drive adapters.